Sorry I haven't been on here more vigilantly in the past week or so. But let there be no letdown because I will soon be in the woods with a vengeance and have plenty of upcoming details on hunts. 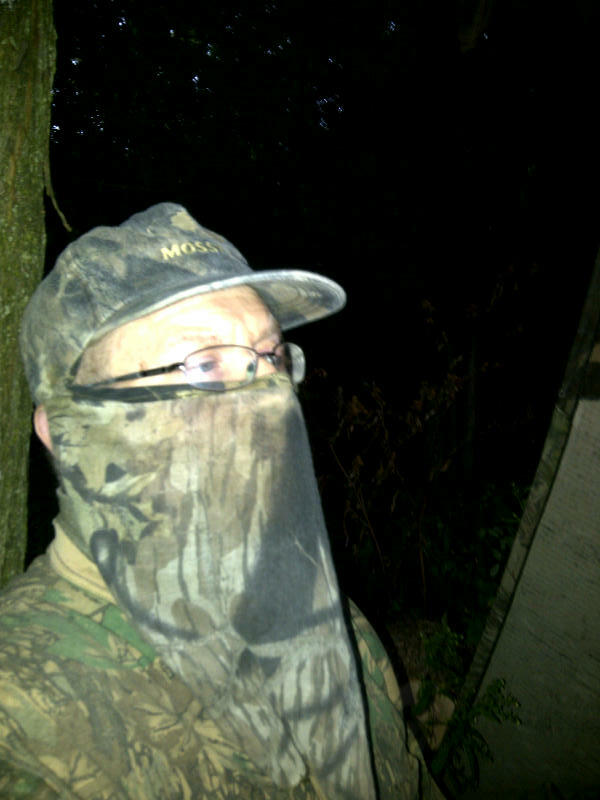 I will be on vacation over the next week and the festivities will open with more fall turkey hunting albeit I was out on the opener, Sept. 15. And even though I didn't see a bird, it was a glorious morning at Dairy Farmer Dave's in Sanilac County, Mich., with plenty of bite in the air, which really got the blood pumping. Frankly, I was surprised I didn't have any action but it was only Day 1 so I remain upbeat. The main event will be next week when I return to the Upper Peninsula to bear hunt. It will be the first time I've been after Yogi since the mid-2000s. Hopefully, I will be posing from behind its head with my bow leaning across a 300-pounder. Another pursuit will be upland birds -- grouse and woodcock. Grouse have already been available to hone in on since Sept. 15 but the timber doodle season opens Saturday, Sept. 22, which is when I prefer to start because I hate to be revved up on a flush only to find I have to pull the Browning back down. The vacation week ends with the king of all hunts -- deer archery. Soooooo, lets get ready to ruuuuuuuumble!!!! On Monday, I waited nearly three hours at VF Sports in Port Huron Township to nab two doe tags for the public land areas I hunt during the fall deer seasons in Michigan. This is one place where I go when I want to make sure to avoid glitches on my tags, i.e., getting the wrong zone, wrong hunt or the sales person hasn't a clue what tag I'm trying to get. Too often at the larger department stores I find they put kids in charge of running the Department of Natural Resources' machine and let's just say it is rarely an automatic transaction. Well, it was anything but automatic on Monday either. Evidently the new upgraded system the DNR recently implemented statewide has a few bugs to work out. The leftover doe tags went on sale at 10 a.m., and by 11:30 a.m., the second person was just getting his tags. Two tags in an hour and a half. Yikes. It wasn't the store's fault. The sales clerks were just doing what they usually do, but once the item got to the DNR checkout on line, the transaction would cycle endlessly before finally going through after a lengthy delay. I'm sure many would-be hunters walked away without getting the tags they had hoped to get. Luckily I didn't have to be anywhere by the time my name was called in the ninth spot at 12:50 p.m. In past years, I would have been out of there in an hour or less. Here I am with the confounded score card during Sunday's archery shoot at the Silver Trails Boys Scout Camp in Jeddo, Mich. Hey, no peeking. Much like the Detroit Tigers battling their way to take the AL pennant in the final weeks of the baseball season, I'm trying to get my house in order before the "90 days of insanity" open in full Oct. 1. You could make it 105 days if you throw in the first 15 days of the fall turkey season when it kicks in Sept. 15. As it has been written here before, I can get pretty obsessed during the deer archery season and beyond. So far, I haven't been able to get out and shoot (at) the impenetrable geese at Dairy Farmer Dave's and it looks like that may have to wait until the regular season opens in Oct. 6. I'm not sure if I could have even if the planets were perfectly aligned when the nuisance season opened Saturday, Sept. 1 -- I had a physical affliction that required a trip to the hospital that same Saturday and I also was nursing a gimpy ankle that I twisted around the house. But I have been out doing hunting-type stuff the past two weekends. I helped Marysville Dan put up his coveted ladder stand on a private land spot Aug. 26. Boy, it was hot and the mosquitoes were doing pushups trying to get at us. We managed to fend them off and secure the stand in a piney cove that I think will end in pay dirt for Dan. As I told Dan, I always like to have setups in pines because they make for great cover scent. I have some clothes that permanently smell like pines. Then Sunday, Sept. 2, after a much improved ankle was braced up, I decided to test my skills again on the fun course during the archery shoot at Silver Trails Boys Scout Camp in Jeddo. And although I improved my score from August's outing by nearly 30 points, I would still not reveal such a laughable result. However, I did notice the right shoulder felt much better than it had after the previous shoot, so the continued progress was duly noted and will be where I place my focus. a lot of work. I hope the reward is fresh venison backstrap. greatly help me over the rest of the year. Like most hunting fanatics, if I'm not in the woods actually on a gig, then I'm thinking about the next one so I'm sure I'll have much to mull over during the long drive to and from West Virginia.